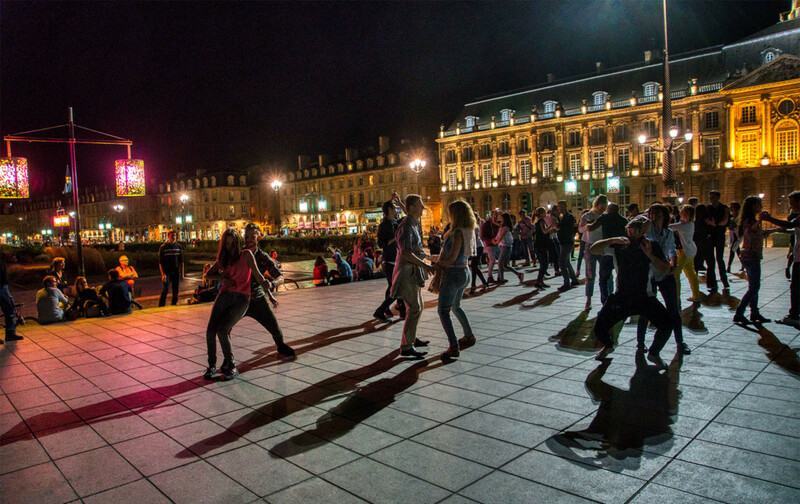 In Bordeaux are dancing parties on the street. People come together and hop unexpectedly. It’s contagious for many passengers and so more and more attend the dancing. Also, my wife was excited, but since I am a lousy dancer, I was too shy to attend. However, it was the right time for night shots of this likable scenes.